This Valentine day craft is an easy decor project. It has taken me only 10 min to decorate the glass bottle. Here is how I decorated this glass bottle for Valentine day. I have used hot-melt adhesive to draw hearts and LOVE letters on the bottle. I’ll take more picture of it and upload them later. Then I used a painting brush to cover the bottle with silver acrylic paint. 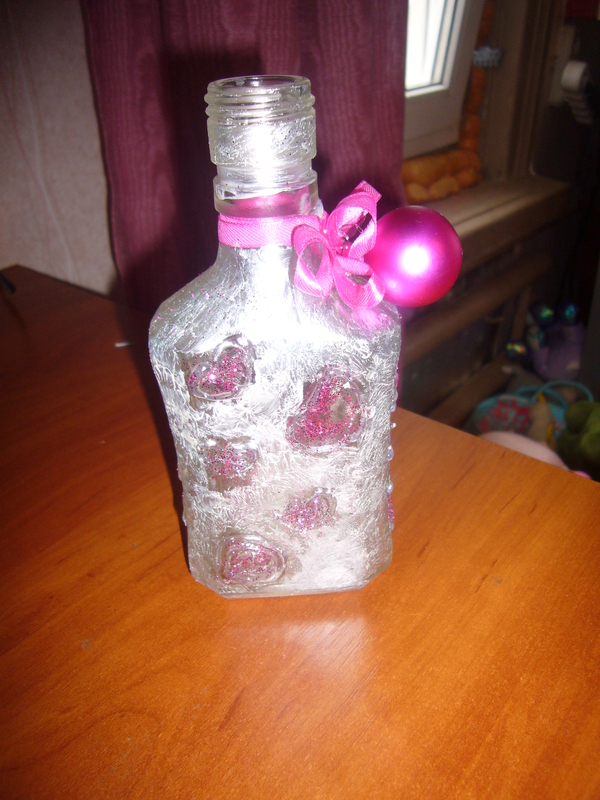 I used glitter to decorate it with pink sparks and tied a pink ribbon. You may use this bottle as a Valentine day decoration item. You may use it as a bottle for wine or other drinks on your table. Or you may use this Valentine day craft as your candle stick.